Along with the exciting new FLEX-6400(M) & FLEX-6600(M) radios, FlexRadio is pleased to introduce an extended warranty program. For an additional fee the standard warranty will be extended from 2 years to 4 years. Sign up any time within the first 30 days of the radio purchase. This Extended Limited Hardware Warranty is effective upon expiration of the standard 2 year warranty. Extended Warranty must be purchased within 30 days of the original purchase date. 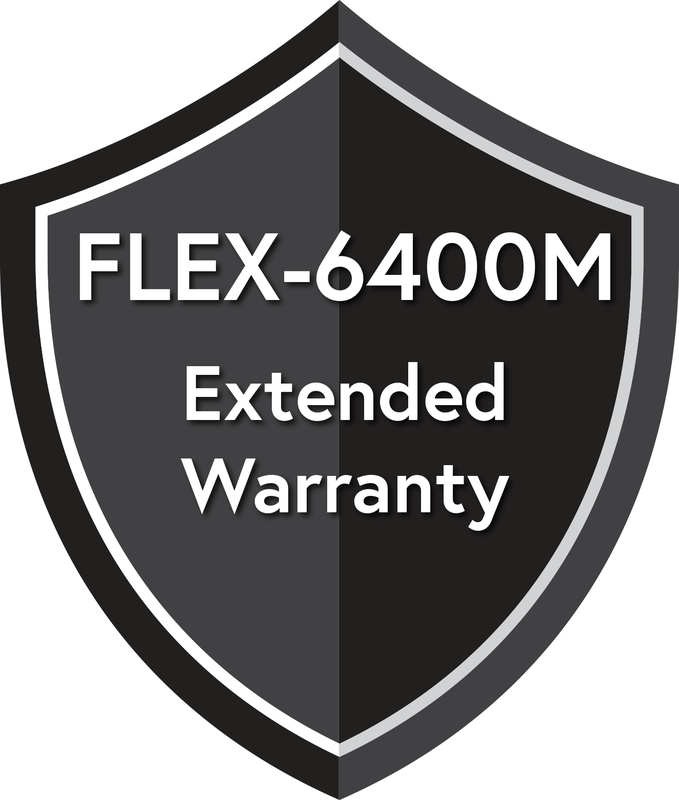 Extended equipment warranties and manufacturer hardware support for the FLEX-6400, FLEX-6400M, FLEX-6600, and FLEX-6600M applies only to the original purchaser and are not transferable unless an extended warranty transfer agreement is purchased from FlexRadio Systems. FlexRadio Systems may elect to transfer the extended hardware warranty to a third-party. A Return Merchandise Authorization (RMA) number is required before sending in a product for service. An RMA number is issued by FlexRadio Systems by submitting a HelpDesk support ticket and undergoing troubleshooting procedures with a technical support engineer. Any product returned for service that is out of warranty or has had its warranty voided is subject to a one (1) hour diagnostic bench charge (currently $99 USD and is subject to change). This charge will be applied to any work performed. Where is it available: The extended warranty is only available for purchases in the USA. What is covered: During the two (2) year extended warranty period after the standard warranty has expired, FlexRadio Systems will replace defective parts free of charge (post-paid) for transceiver components only. Any replacement hardware parts will be warranted for the remainder of the extended warranty period or ninety (90) calendar days from the date of installation or repair, whichever is longer. FlexRadio Systems will also correct any failure caused by defective parts and materials. The complete unit must be sent to FlexRadio Systems at your expense in the original shipping container or other packaging sufficient to prevent damage in transit. FlexRadio Systems is not responsible for damage or lost shipments from the customer. FlexRadio Systems will insure the package and pay return shipping. What is not covered: This Extended Limited Hardware Warranty as it pertains to the transceiver or radio components does not cover repair or damage caused by (1) misuse, negligence or user modifications; (2) any performance malfunctions involving non-FlexRadio accessory equipment; (3) connection to improper or unstable voltage supply; (4) improper execution of hardware calibration or test routines;(5) the incorrect installation of any and all cables connected to the radio by the user; (6) the use of third-party software applications or hardware that directly or indirectly controls radio functions and/or operating state by utilizing a communication or control protocol, such as, but not limited to CAT or I2C commands, TCP/IP commands, or (7) random acts of nature such as flood, fire, water, weather related storm, lightning or electrostatic discharge damage. Limitation of Incidental or Consequential Damages: This Extended warranty does not apply to non-FlexRadio equipment or components used in conjunction with our products. Any such repair or replacement is the responsibility of the customer. FlexRadio Systems will not be liable or responsible for reimbursement for any special, indirect, incidental or consequential damages, including but not limited to any loss of business or profits, loss of property, loss of revenue, loss of use, loss of data, inconvenience or cost of unauthorized service.